Ibne Abbas, the Pakistani High Commissioner to UK on 09 August 2017.
and the newly elected office bearers of the UKPCCI, said a press release. and professionals would bring synergies and add value to the organization. 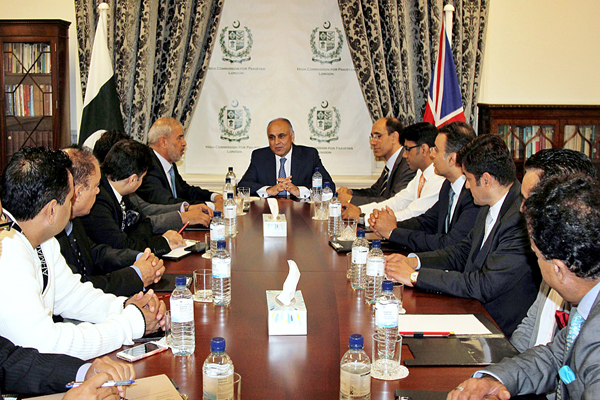 enhancing Pakistan-UK bilateral trade and bring investment to Pakistan. opportunities offered by the vast and emerging Pakistani market. the two countries as well as fast track Pakistani visas for the British business persons. co-operation of the High Commission with the UKPCCI. offered by Pakistan to the British businesses. Mission and the UKPCCI for organizing trade events in future.